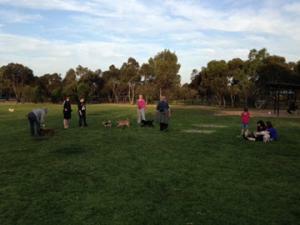 We all love our local favourite dog park (follow this link to find your closest Adelaide dog park). Most of the dogs and people we meet are among the best. Our dogs love it. But many people have a bad experience which makes them avoid going. Here are some suggestions to keep the fun alive. good idea to focus on small group training until they can. Most of us enjoy the dog park for the chat with like-minded dog owners (let’s face it: dog people are some of the nicest people!). It’s important to remember however that bad things happen quickly. Try to be aware of where your dog is and who is about to enter the park. Every day is different and we all have to cut it short at times, either because the play is getting out of hand or an incompatible dog is arriving. Some dogs benefit from getting their sillies out first with a good run. This way when they enter the park they tend to be calmer and slower. If your dog has a habit of going in to other dogs way too quickly for their tastes we suggest you try this. The opposite can also be true; walking to the dog park past dogs barking behind fences can put them on the defensive. 4. Don’t forget dog training. One of the myths of dog training is that it is all about sit/drop/stay. Most of you already know it’s much bigger than that. If you also attend training classes you have a dog who is more attentive and responsive to you, and more confident in canine social settings. Reliable recall is very important and one of the most useful skills they will learn. 5. Be realistic about problem behaviour. Dog parks aren’t for everyone. Some dogs just don’t enjoy themselves or cannot group play well and their owners happily take them elsewhere. Also, it’s not a good idea to bring a dog with existing problems to the park as they are likely to only have negative experiences. A much better idea is to put the visit on hold until a behaviourist or dog trainer has been used first. 6. Leave the testicles at the vet. Not every, but most entire male adult dogs have a very hard time just playing without it getting more complicated. One of the benefits (or disadvantages depending on the owner) of desexing is that males keep a much more open, simple and puppy-like attitude to other dogs. Some parks have a ‘no entire males’ policy. SO much can go wrong. 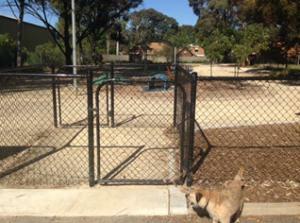 Before they are immunised, dog parks are a death trap. Then there is the high level of intestinal worm egg contamination (by the way, this is why poo collection is so important). 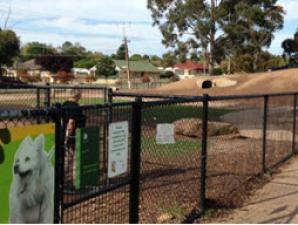 More commonly, we see puppies brought to the dog park too early in their social development. They will get trampled and hurt in normal play, and if they haven’t had a lot of positive social experience first it can mark them for life. If that’s not enough, many puppies’ bones and joints are just not ready for all that high-impact play and can be permanently damaged. 8. Use small dog areas. 9. Don’t always bring the kids. 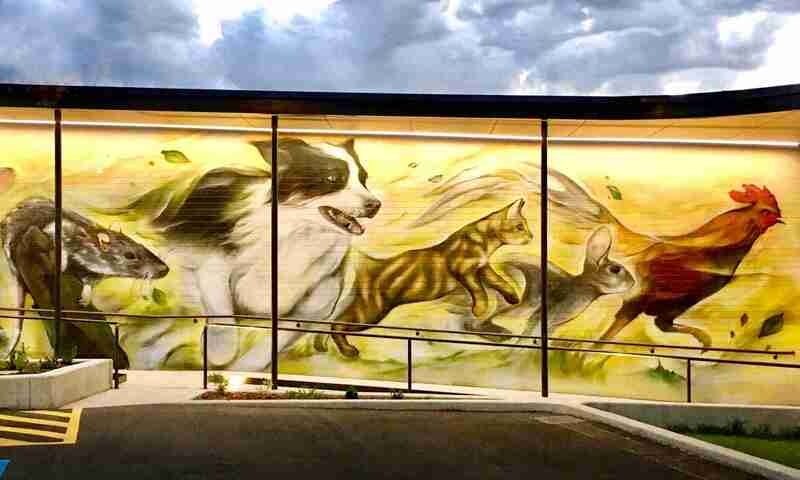 Children at the dog park can be a great asset if they know how to act around strange dogs. However, if they make loud noises and run this can stimulate predatory behaviour in the temporary ‘dog pack’. It’s best if they just let the dogs do their thing. Smaller children in strollers are at perfect dog lick level (or worse) and need someone nearby at all times. 10. Consider using toys or treats privately. One of the common causes of conflict at dog parks is the dog playing fetch with the owner. This dog thinks the toy is rightly his or hers but the other dogs will be very interested. It’s natural to be possessive over a favourite item and it probably just gets in the way of good play. 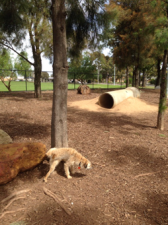 Most dog parks have adjacent large areas for running which are perfect for one-on-one games. The same often applies when using treats; good luck not having a large circle of dogs insistent on their ‘reward’ disrupting your dog’s concentration.